For example, the view below displays the sales as a function of a continuous order date and is color-encoded by department. As you can see, the color of the Order Date field changes from blue to green after it is converted to a continuous quantity. 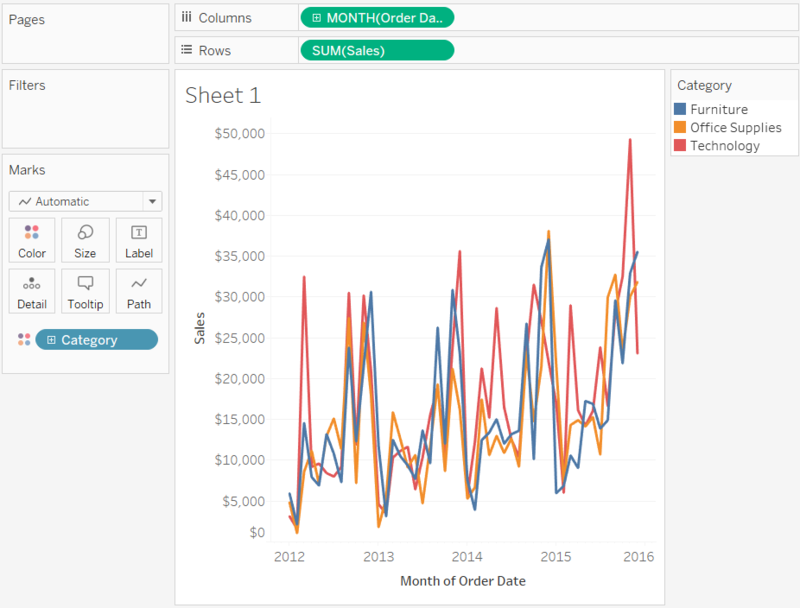 By default, date dimensions are discrete fields for which Tableau automatically selects a date level when it is placed on a shelf. To make a date dimension continuous by default, right-click the field in the Data window and select Convert to Continuous. The field turns green and is automatically converted to a continuous field when you drag it to a shelf. To revert to discrete again, right-click the field in the Data window and select Convert to Discrete.